Elvin Guri is an investor and entrepreneur with more than 15 years of successful track record in banking and private equity. 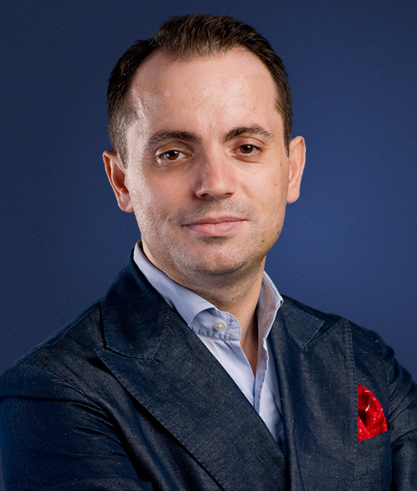 As an investor and adviser, Elvin has been involved in deals in the financial institutions sector (Czech Republic, Ukraine, Poland, Romania, Serbia, Albania, Macedonia), in technology and biotechnology (Switzerland, Bulgaria), in healthcare and food industry (Bulgaria), and the real estate sector (USA). Prior to Empower Capital, Elvin and Ivan Hristanov co-founded JetFinance International, the largest independent consumer finance lender in SEE. JetFinance was sold to BNP Paribas Personal Finance in July 2007. Elvin started his career as an Auditor at Price Waterhouse in Sofia. Later he spent more than five years with the European Bank for Reconstruction and Development (EBRD), both in London and in Sofia. At EBRD, Elvin worked mostly on financial institutions’ deals, but also contributed to deals in food processing, pulp and paper, and other industries. Elvin holds an Executive MBA from the University of Oxford. Elvin is fluent in English, Bulgarian and Albanian. He is also conversational in French and Italian. Additionally, Elvin supports several educational initiatives in Bulgaria and Albania, including AUBG, Teach for Bulgaria (“Zaedno v Chas”) and Junior Achievement. Projects and responsibilities: As a CEO in Empower Capital, Elvin is engaged with strategy, investor relations, deal sourcing, structuring and execution.